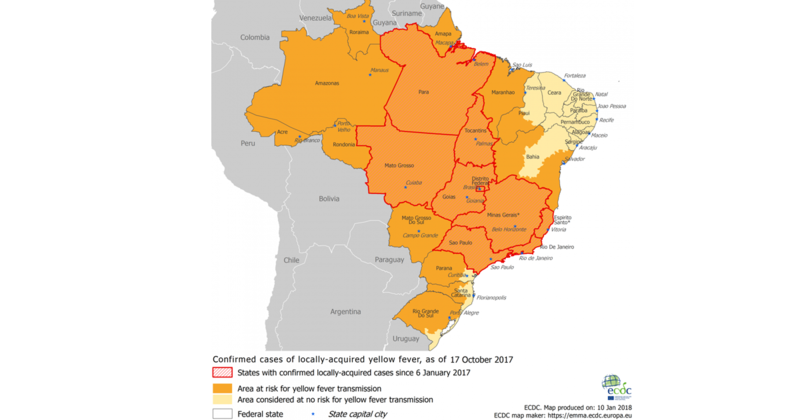 We have an update on the Yellow Fever situation in Brazil. Earlier last year, we published an article on Yellow Fever which was prompted by an uncontrolled outbreak in Brazil. The outbreak was affecting states including Rio de Janeiro and Sao Paulo. Whilst the outbreak appeared to be under control in July 2017, new cases have arisen in Sao Paulo state leading to 4 deaths with another 92 cases currently under investigation. In an attempt to curb the spread of the deadly virus, a mass immunisation campaign is due to start in February 2018. There is also an attempt to vaccinate 19 million citizens across Sau Paulo, Rio de Janeiro and Bahia state. There have also been discussions to look at areas yet to be affected/considered previously for vaccination. 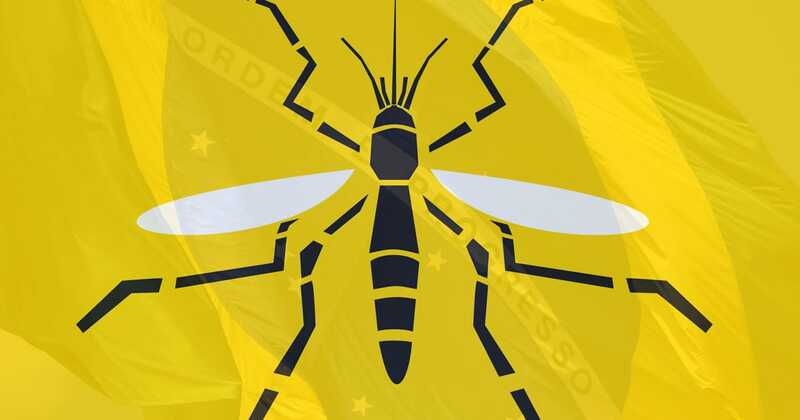 Currently, the risk to non-immunised citizens is high and so travellers are being advised to take yellow fever vaccine for trips to these areas and beyond. The above map is taken from the European Centre for Disease Prevention and Control and highlights areas where cases of Yellow Fever have been reported. It is recommended that travellers to these destinations/area receive vaccination prior to travel.